The ServisBOT Test Drive Experience is being "road tested" and will be ready for primetime soon. Please share your details and we'll send you a note as soon as it's ready to go! From Claims and Collections to Scheduling, On-boarding and Win Back, our Army of Bots can be deployed in days to deliver great engagement experiences. Contemplating how AI and bots can help automate tasks in your business, but trapped by fear that they will fail, harming your customer experience? Like any army, our ServisBOTs perform different functions at the front lines or in the trenches, engaging with customers and employees. 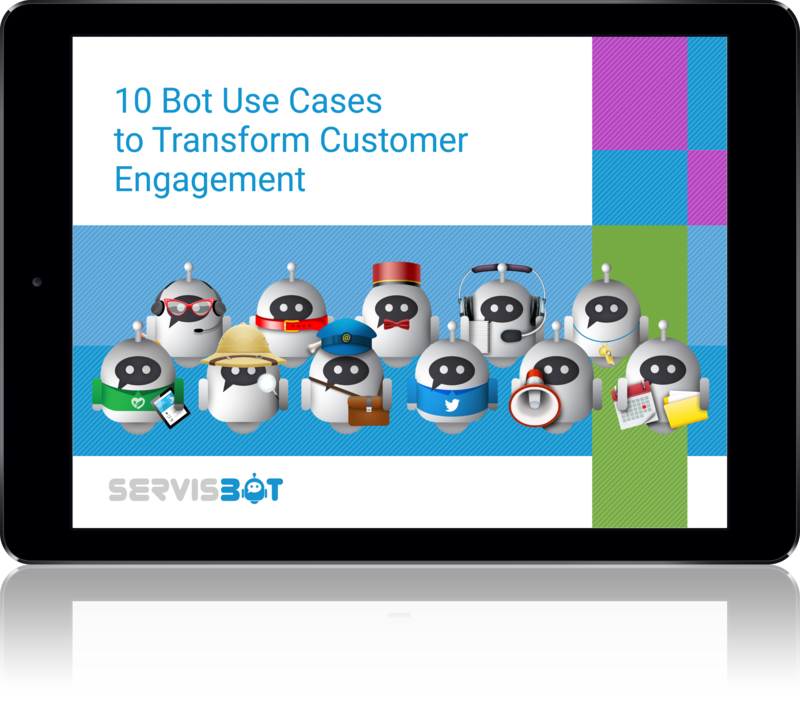 This eBook will inspire you beyond the chatbot, and describes 10 use cases that will leave you dreaming of the future of your very own bot army. Experience ServisBOT hands-on, within the comfort of our web experience. Copyright © 2019 ServisBOT, All Rights Reserved.